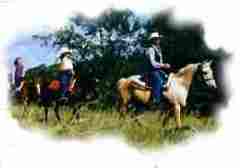 Green Acres Riding Stables is a 40 acre farm just outside the little town of Jamesport next to the beautiful Poosey State Park a well known hot spot for Missouri Equestrian lovers and riders alike. Chris and Patti Gillham the owners of the Green Acres Riding Stables provide riding lessons, training, boarding, and they provide guided tours through 17 miles of well groomed trails. Green Acres is Definitely the place to be for an excellent riding experience, and an all around good time.